Following Estonian Air’s announcement that they cease their operations, SAS has reacted and will begin flying between the three Scandinavian capitals and Tallinn. 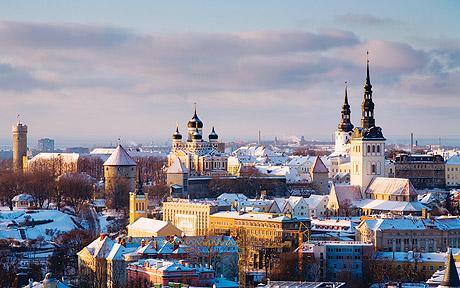 This means daily flights between the cities, ensuring that travelers have continued good flight connections to Estonia. Also, Scandinavian Airlines is opening for sales of tickets to two new Scandinavian destinations from Miami. The routes to Norway’s capital Oslo and to Denmark’s capital Copenhagen will be served four and three times a week respectively. SAS serves Scandinavia, Oslo, Stockholm and Copenhagen, from four cities in US – New York, Chicago, Washington DC and San Francisco – and is adding three more cities in 2016. Besides Oslo and Copenhagen to Miami, SAS launches nonstop service from Los Angeles to Stockholm on March 14, and from Boston to Copenhagen on March 29. To read the complete article at TravelDailyNews, click here.